The Fairtrade Foundation granted Middlesex University official Fairtrade University status on Friday 7 April. Fairtrade is a growing international movement, which aims to ensure that producers in developing countri‌es get a fair deal for their products. Universities, schools and colleges can achieve Fairtrade status by showcasing their commitment to supporting Fairtrade. This includes ensuring that as many Fairtrade products as possible - including food and clothing - are available in as many places as possible around campus. By providing a selection of Fairtrade products around campus, including Middlesex University Student Union’s clothing range, Middlesex has achieved the standards required for the award for the next two years. 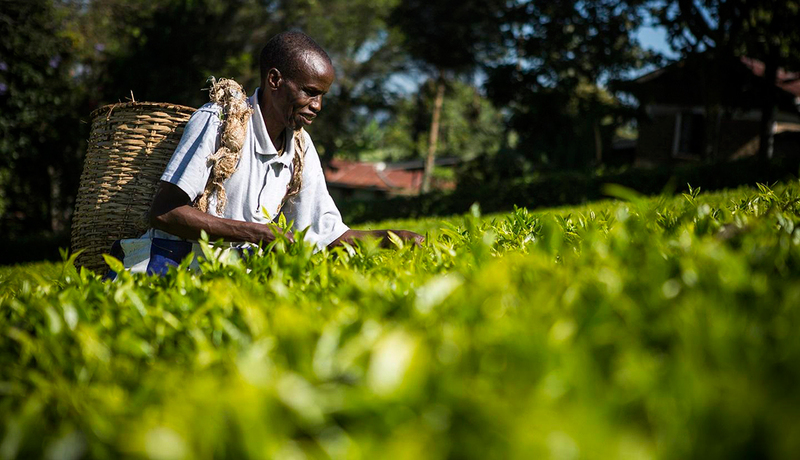 “It’s great that the University is promoting Fairtrade because it means the community is allowing the farmers to receive a fair price for their goods,” Annabel Beard, BSc Veterinary Nursing student at Middlesex University. Led by the University’s Fairtrade Steering group, Middlesex has run a number of events throughout the year, each aiming to raise awareness among students and staff about the benefits of Fairtrade for workers and farmers in developing countries. 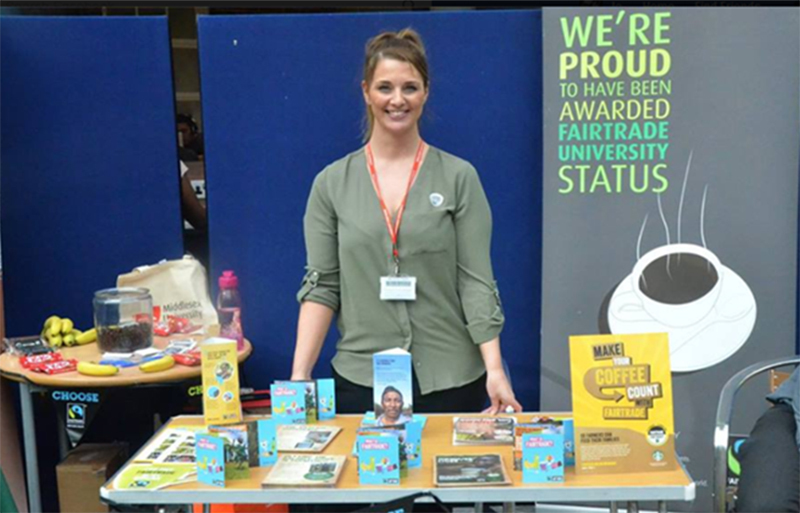 Events such as a Fairtrade coffee morning, information stands and interactive quizzes during Middlesex University’s Green Week and Ethical Careers Fair have helped the Middlesex Fairtrade Steering group achieve this. 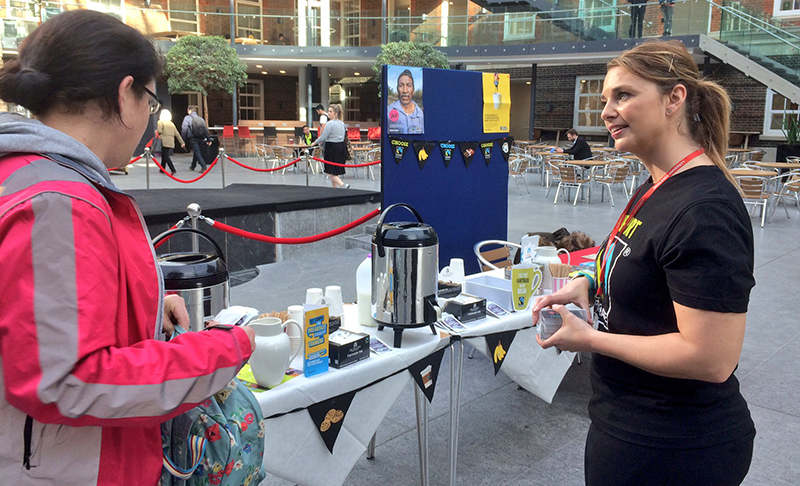 “There are always a large number of Middlesex students that already know about Fairtrade but these events are a great opportunity to keep the discussion going around why Fairtrade is so important,” says Jo Williamson, Contracts Officer and member of Middlesex University’s Fairtrade Steering group.